The ability to convey information in a succinct manner is critical to success in any career. 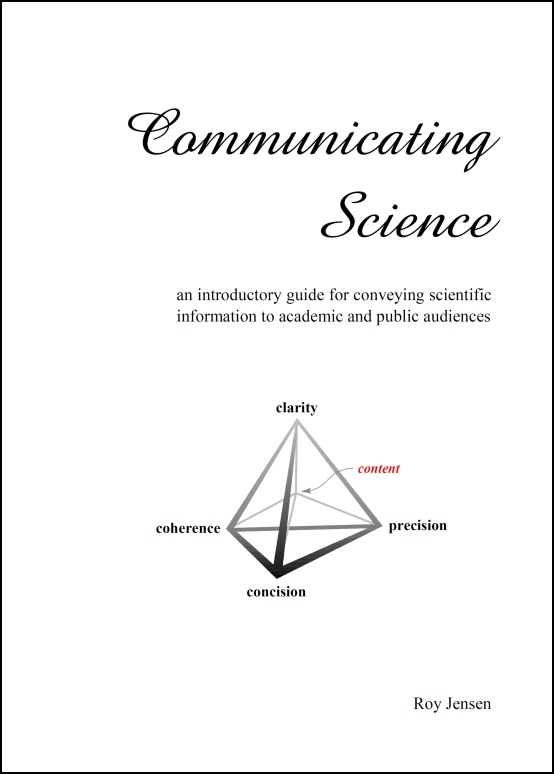 Communicating Science is an introductory communication guide that provides learners with a foundation for writing, reviewing, and presenting technical information to academic and public audiences. Information on research methods and on the learning process allows learners to better understand and conduct research and investigative projects and better communicate the results of those projects. The appendices present review questions, technology guides, assignments, and assessment rubrics. Please contact us with your comments, questions, and to be added to our mailing list. You will be informed about updates and new editions of Communicating Science. If you find Communicating Science valuable, please contribute to its continued development. Communicating Science may be used as the primary resource in a technical communication course, as a resource for multiple courses when communication skills are taught throughout the curriculum, as a resource for students engaged in undergraduate research, as an introduction to discipline-specific style guides for graduate students and research scientists, and as a reference throughout one’s career. Communicating Science is not discipline specific: it presents common features of all technical communication and is designed so that students can smoothly transition to more advanced and specialized style guides in graduate school and their scientific careers. Bookstores may order student copies by contacting Rogue Publishing. Instructors receive a complementary print copy when print copies are ordered for their students. Communicating Science is a required resource at eight prestigeous institutions and an optional resource at dozens more! Adopt Communicating Science for your class.